The 12th Velo Vintage Ride — 'time to cycle, take tea, converse and dress with style' — takes place in Exmouth, Devon, on the 3rd of December. Starting at 10.30 am, the ride will cover ten miles and take in stops along the way for refreshments and live musical entertainment. 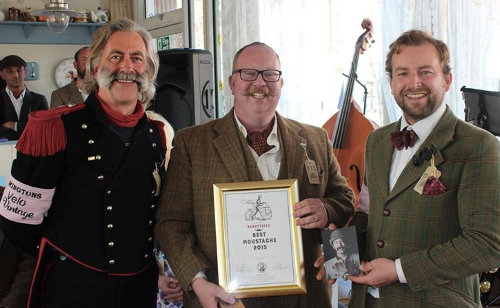 Smashing friend Alistair Cope (left in picture above), organiser of the Devon-based Velo Vintage cycle rides, believes this winter ride offers a good excuse for cyclists to 'get out their warm hats, scarves and thick tweed coats'. He's absolutely right, of course, but I'd also suggest a decent pair of gloves at this time of year. You don't want your hands so cold they can't hold the scone from the Devon cream tea that will undoubtedly be on offer. So — we want traditional gloves, no fluorescent tech-ghastliness, but gloves that also perform well in winter cycling conditions. We have the answer, chums. Brancale, the cycling accessories company, is probably best known for its leather hairnet cycling helmets. 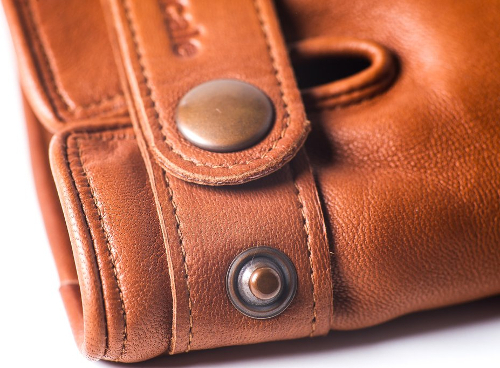 Formerly an Italian company, it is now based in the USA, though many of its products are still made in Italy. 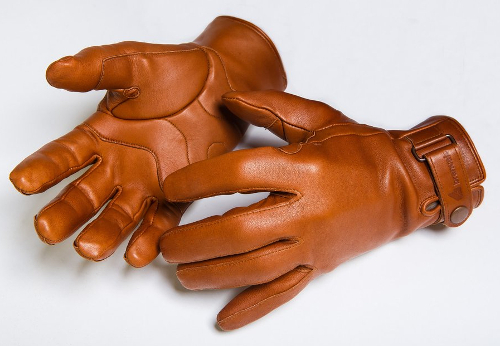 The Brancale Winter Leather Cycling Gloves are made in good old England, hand cut and hand sewn from sheep leather that is 'thin, supple and breathable but also very strong' and only improves with age and wear. The winter warmth comes from a fleece lining. 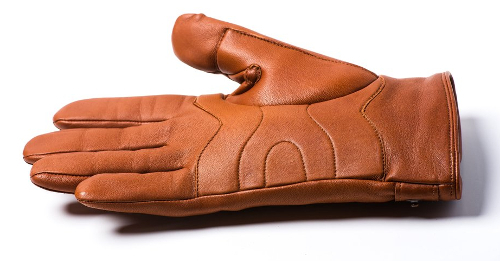 For cycling comfort, the gloves have slight padding on the palm and thumb. Built to last, Brancale recommends that it will take a few rides for the gloves to shape to your hands and become an indispensable addition to your winter cycling enjoyment.